The Israeli military said a “terrorist squad” fired at troops and one soldier was severely injured and later died. Sirens wailed last night in parts of southern Israel warning of incoming Palestinian rockets. Israel said two were intercepted by its Iron Dome aerial defence system. 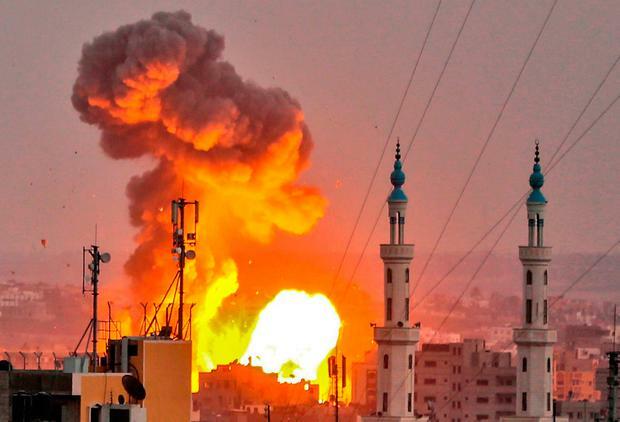 Independent.ie Newsdesk Gaza’s militant Hamas rulers said they have accepted a ceasefire ending an Israeli onslaught on militant positions after a soldier was shot dead. Ellen Francis Two pro-government villages in north-western Syria were evacuated yesterday, state television said, in an agreement between the Damascus government and insurgents who had laid siege to them for several years.